Apple released public previews of QuickTime 5 and QuickTime Streaming Server 3 - the next generations of Apple’s industry-leading software for creating, streaming and playing high-quality audio and video over the Internet - at the second-annual QuickTime Live! conference yesterday. However, Apple has not released an International-English version of the updated technology. The new QuickTime Player has Mac OS X styling. The new Aqua-fied user interface for QuickTime Player will be instantly recognizable to those who have installed the OS X Public Beta. It uses a slider for the volume control rather than a wheel, and replaces the old Favorites drawer with a TV button. UK download unavailable A "public preview release" of QuickTime 5 can be downloaded from the Apple Web site. At the time of writing (9am, Wednesday October 11), the preview download was available only from Apple’s US Web site. Apple’s UK QuickTime Web pages had no mention of the update. The downloadable Player is for "English (US)" only – but appears to work without errors on Macworld’s International English systems. Apple UK representatives were not available for comment on this state of affairs. Main new features QuickTime 5’s innovations include an updated media player with a new QuickTime TV (QTV) network channel display and new audio controls; a new component downloader for adding plug-ins on the fly; and support for new Web codecs including Macromedia Flash 4, Cubic VR and Shoutcast. "QuickTime is the standard for Internet audio and video and is being used to deliver the latest in Internet content to millions of surfers around the world," said Philip Schiller, Apple’s vice president of Worldwide Product Marketing. 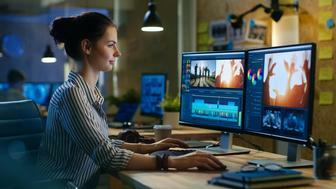 "The new technologies in QuickTime 5 enable a new generation of Web-based audio and video solutions delivered with greater reliability than ever before." The public preview of QuickTime 5 for Windows will be available by the end of the year. Full releases of QuickTime 5 and QuickTime Streaming Server 3 will be available in early 2001 – probably with the full release of Apple’s next-generation operating system, Mac OS X.
Skipping skips QuickTime 5, in combination with the new open-source QuickTime Streaming Server 3, offers "Skip Protection," a collection of Apple-invented technologies that ensures a higher quality experience for watching and listening to Internet streams. "Skip Protection" protects against media "skipping," or dropping frames, caused by the unpredictability of Internet transmissions. - Real-time professional video-editing support for professional applications such as Apple’s Final Cut Pro. - iPIX, which makes virtual reality software that provides dynamic imaging solutions for creating 360-degree spherical images and movies. Schiller also previewed a future version of Final Cut Pro that takes advantage of real-time video-editing capabilities provided by QuickTime 5. The feature allows producers to add transitions and other effects without the need for rendering.